If you want to apply superscript or subscript format to the text in a cell, you may not find anything for it in the ribbon. This is one of those things where you need to go a level deep to make it happen. 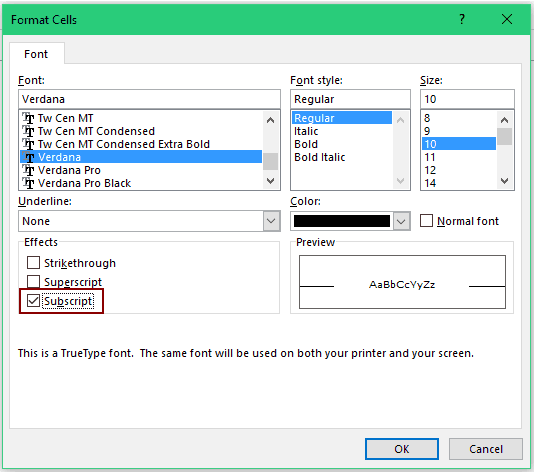 In this tutorial, you’ll learn how to apply the superscript and subscript format in Excel. A superscript format is needed when you want to have 1st, 2nd, 3rd with the alphabets in the superscript format. When you want to enter the temperature along with the degree sign but in a superscript format. Select the cell and double click on it to get into the edit mode (or press F2 to get into the edit mode). Select the text to which you want to apply the superscript formatting. 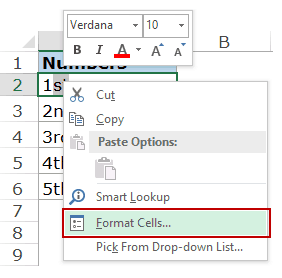 Right-click on the selected text and select Format Cells. 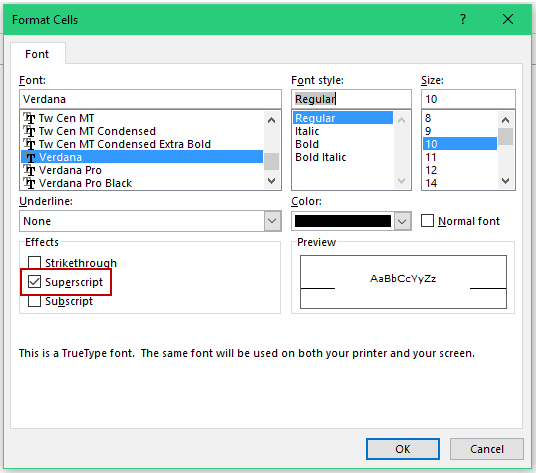 In the Format Cells dialog box, check the Superscript option. This would make the selected part appear as a superscript. Note: There is no way to apply this formatting to text in different cells at one go. 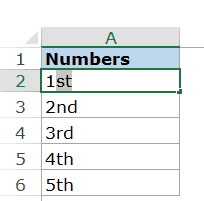 You’ll have to select the text one by one in each cell and repeat the above steps. It is often used when writing chemical equations (remember water’s chemical formula H20 when 2 is below H in a subscript format). Select the text to which you want to apply the subscript formatting. 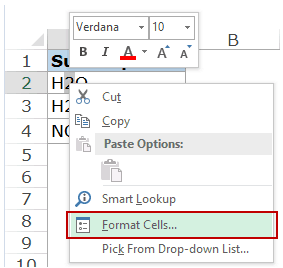 In the Format Cells dialog box, check the Subscript option. Again, there is no way to apply this formatting to text in different cells at one go. You’ll have to select the text one by one in each cell and repeat the above steps. Superscript and Subscript formats are used more often in MS Word and PowerPoint and you can also add these to Quick Access Toolbar. Unfortunately, there is no option to add these in the QAT in Excel. great tip, but how to do it for Degree ?